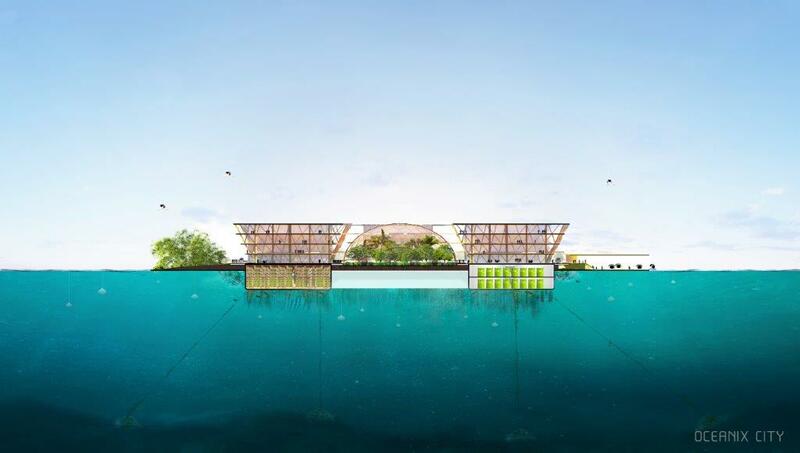 As part of UN-Habitat’s New Urban Agenda, floating cities non-profit OCEANIX, the MIT Center for Ocean Engineering, BIG and partners propose a vision for the world’s first resilient and sustainable floating community for 10,000 residents: Oceanix City. 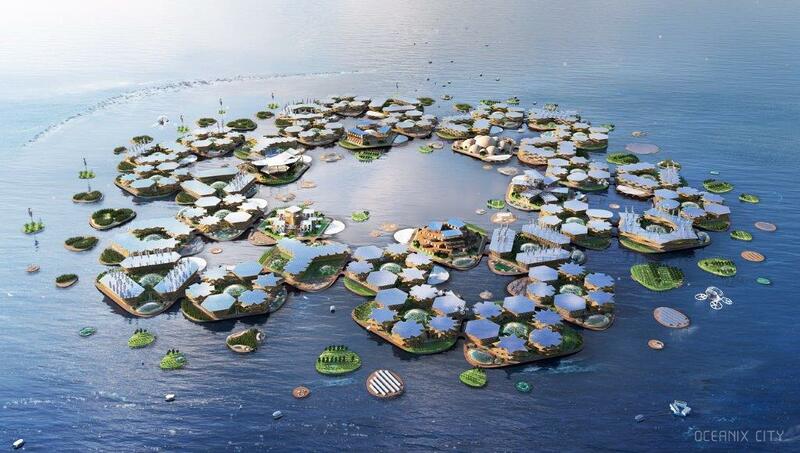 The first UN high-level roundtable on Sustainable Floating Cities brought together innovators, explorers, marine engineers and scientists at the UN Headquarters to share ideas and solutions to the threats faced by coastal cities and countries due to rising sea levels. The roundtable was co-convened by OCEANIX, the MIT Center for Ocean Engineering, The Explorers Club and BIG. “We are the UN agency mandated to work with cities, be they on land or water. We are ready to engage in dialogue on Sustainable Floating Cities to ensure this burgeoning sector is mobilized to good effect and for the benefit of all people.” Maimunah Mohd Sharif, the Executive Director of UN-Habitat and UN Under Secretary-General. 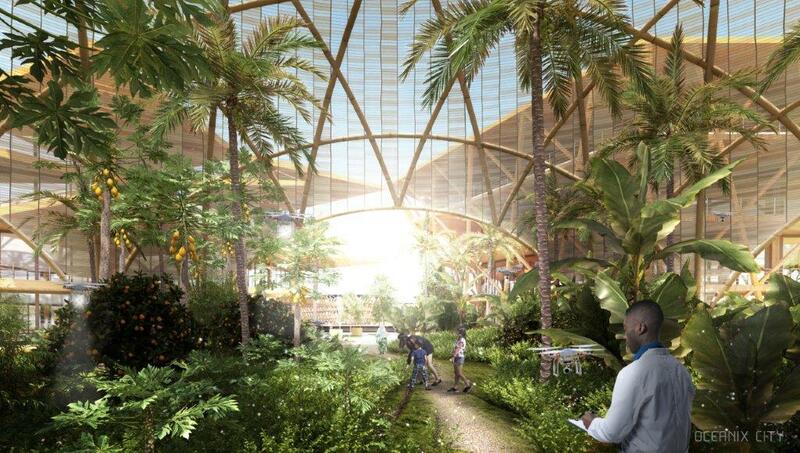 Designed as a man-made ecosystem, Oceanix City is anchored in the UN Sustainable Development Goals, channeling flows of energy, water, food and waste to create a blueprint for a modular maritime metropolis. “9 out of 10 of the world’s largest cities will be exposed to rising seas by 2050. The sea is our fate – it may also be our future. 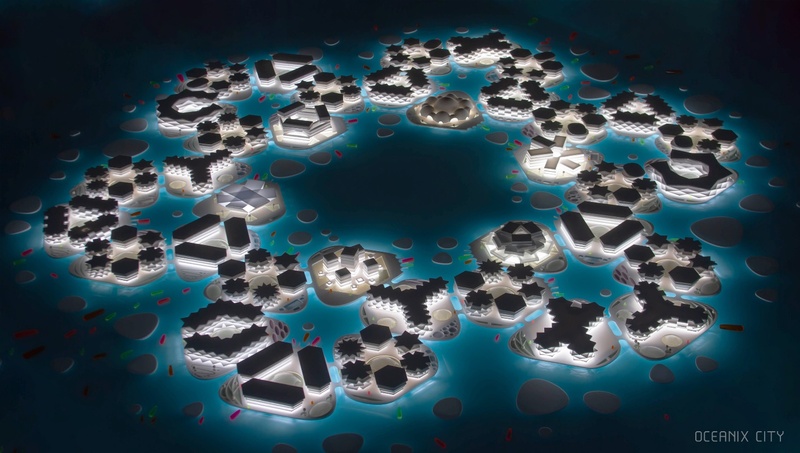 The first sustainable and self-sustained floating community Oceanix City is designed as a human made ecosystem channeling circular flows of energy, water, food and waste. 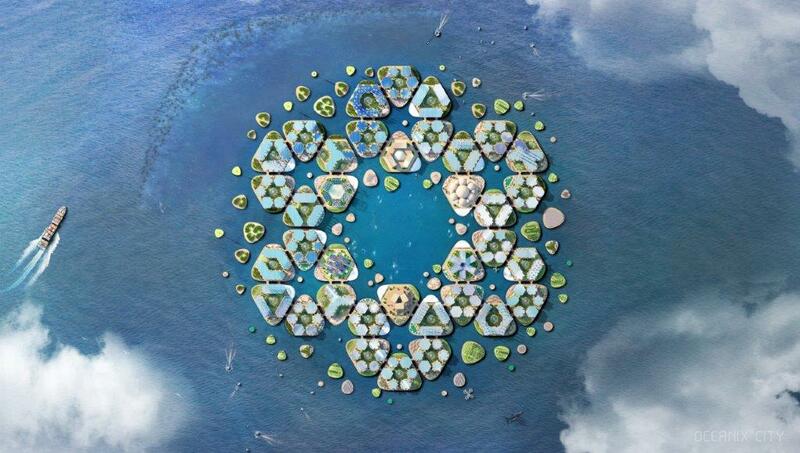 Oceanix City is a blueprint for a modular maritime metropolis anchored in the UN’s Sustainable Development Goals. The additive architecture can grow, transform and adapt organically over time, evolving from a neighborhood of 300 residents to a city of 10,000 – with the possibility of scaling indefinitely to provide thriving nautical communities for people who care about each other and our planet.” Bjarke Ingels, Founding Partner, BIG-Bjarke Ingels Group. 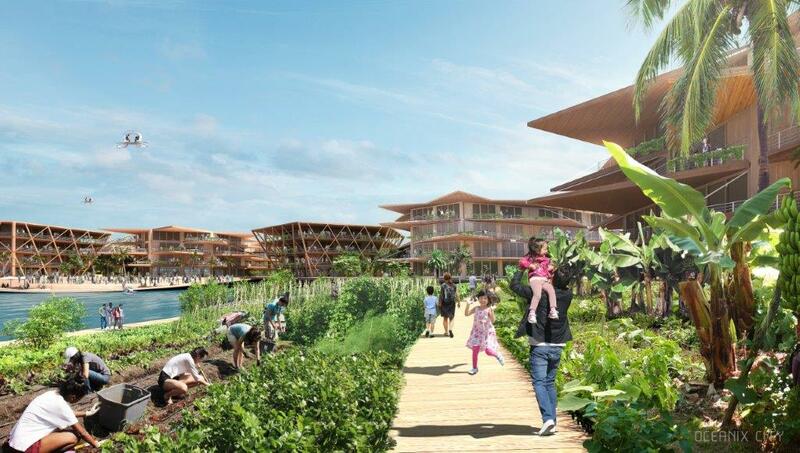 Oceanix City is designed to grow, transform and adapt organically over time, evolving from neighborhoods to cities with the possibility of scaling indefinitely. Modular neighborhoods of 2 hectares create thriving self-sustaining communities of up to 300 residents with mixed-use space for living, working and gathering during day and night time. All built structures in the neighborhood are kept below 7 stories to create a low center of gravity and resist wind. 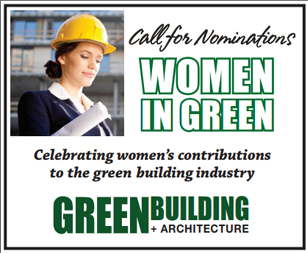 Every building fans out to self-shade internal spaces and public realm, providing comfort and lower cooling costs while maximizing roof area for solar capture. Communal farming is the heart of every platform, allowing residents to embrace sharing culture and zero waste systems. 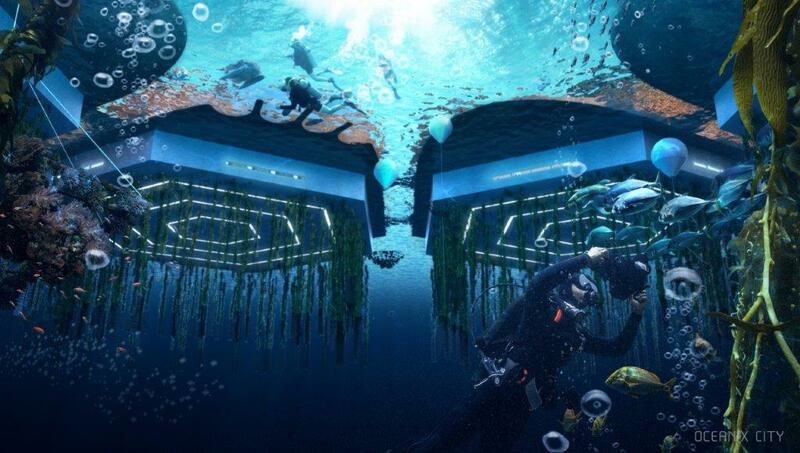 Below sea level, beneath the platforms, biorock floating reefs, seaweed, oysters, mussel, scallop and clam farming clean the water and accelerate ecosystem regeneration. 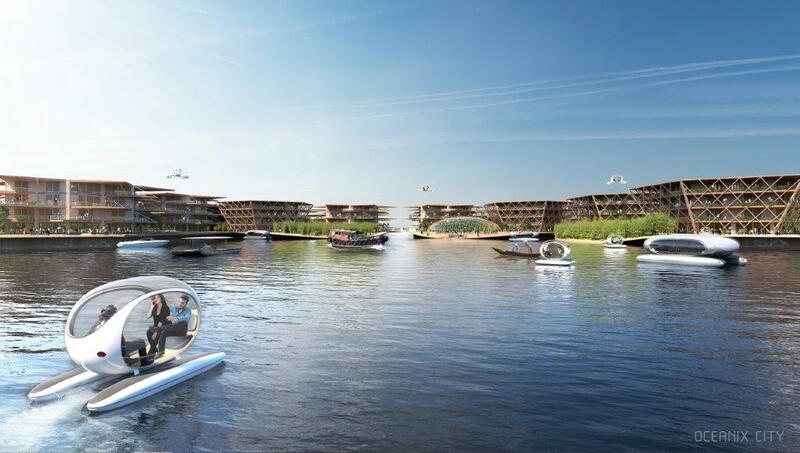 Floating cities can be prefabricated on shore and towed to their final site, reducing construction costs. Pairing this with the low cost of leasing space on the ocean creates an affordable model of living. These factors mean that affordable housing can be rapidly deployed to coastal megacities in dire need. The first Oceanix Cities are calibrated for the most vulnerable tropical and sub-tropical regions around the globe.